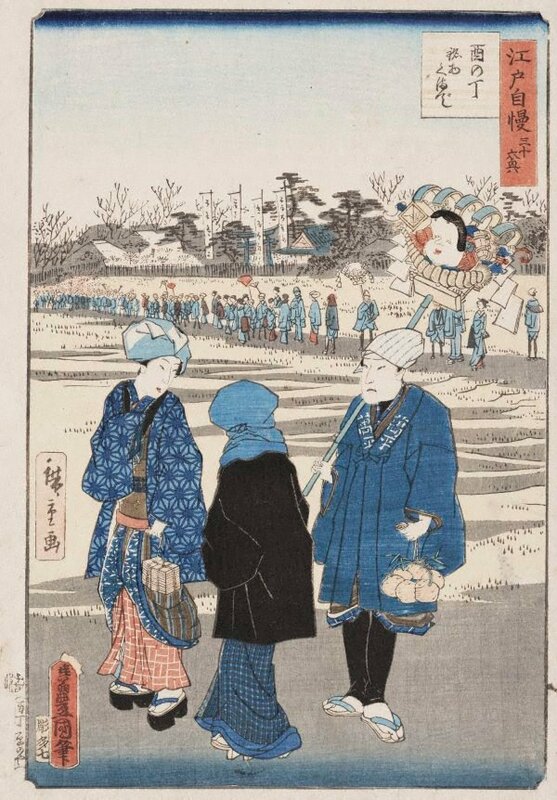 Signed c.l., in Japanese, ink [incised on block] "Hiroshige ga [picture by Hiroshige]". Not dated. Signed l.l.corner, in Japanese, ink [incised on block] "Kiô Toyokuni ga [picture by Kiô Toyokuni]". Not dated.